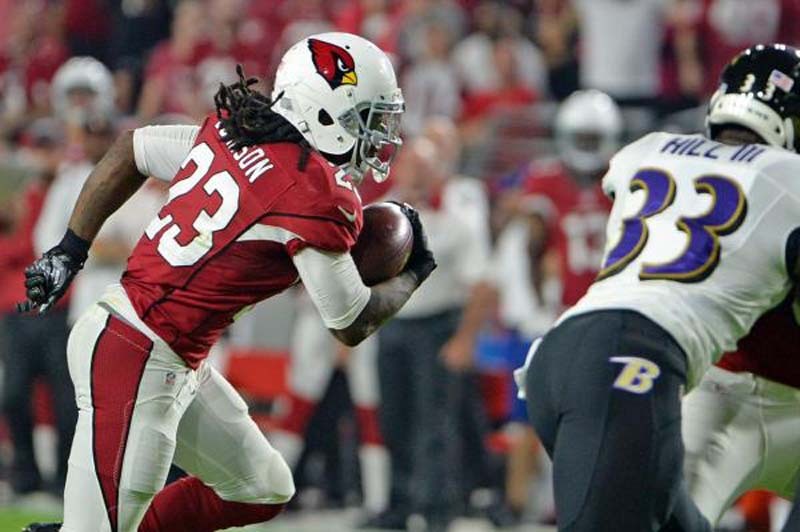 Former 2,000-yard rusher Chris Johnson faces a misdemeanor battery charge in Florida stemming from an incident in April. Johnson pleaded not guilty to the charge in a Tampa, Fla., court on Thursday, according to Tampa television station WFTS. Johnson is accused of assaulting a valet at The Lodge, a restaurant on South Howard Avenue in Tampa's Hyde Park section. The alleged victim suffered a bloody nose and a cut lip. Video of the incident was captured on a parking-lot surveillance camera. The owner of the restaurant identified Johnson, and he was picked out of a police lineup. Johnson, a free agent, rushed for 2,006 yards and 14 touchdowns for the Tennessee Titans in 2009. He played in four games for the Arizona Cardinals last season.